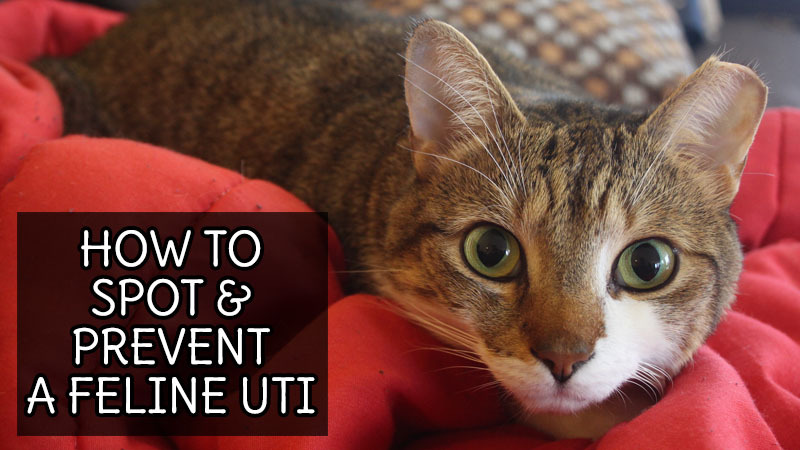 I know how hard it can be when your little one is sick, so I thought I would share some of my experiences with UTI’s and kitties with you! If your cat is taking a longer amount of time in his/her litter box I would recommend taking a quick peek. Check to see how much urine they leave behind. 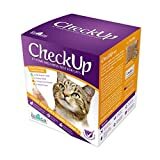 If there is a significant decrease in urine this is usually a hard sign that your cat is at the beginning of having a UTI. 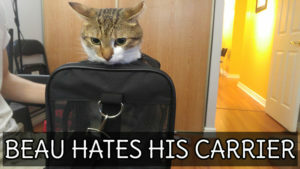 Your cat may also walk around the house trying to pee on objects that are not his/her litter box. Usually, when Beau has a UTI he will pee on my backpack (an object I use every day) or on our bed sheets (his safe space) letting us know he’s not feeling well. I know, I know… this is “inconvenient” but I would much rather my cat tell me that he’s sick by peeing on my bed sheets than not tell me at all. Two amazing urine cleaners you can use are Nature’s Miracle and Scout’s Honor, so don’t even worry about the mess till your little one is all better! Please, please, please take your kitty to the vet if this is happening! This can mean that your cat is fully blocked and as they pee the crystal is cutting them. Honestly, if that doesn’t make you squirm I don’t know what will! This is something Walker did when he had a UTI. He would visit the litter box every few minutes to see if he could go. As things progressed he started using the bathtub as he thought it was the litter that was giving him the pain. If your cat is vocalizing as they pee or hissing at you please take them to the vet immediately. Remember your cat always knows more than you do and if they are in pain, they will tell you! This one is a harder one. The first time Beau got a UTI he was licking himself a lot. I actually remember asking my significant other if he noticed Beau was licking more frequently and he said no… and within a few minutes Beau was screaming because he couldn’t pee. I know, cat’s lick themselves a lot… but if you do notice an increase keep your eyes on your little one. I 100% stand behind buying your kitty a water fountain it’s the absolute best investment I ever made for Beau and Walker. They drink more, and it carries enough water for a week! My little ones also used to get into fights in the kitchen when they lived together and would always knock over the water bowls. Luckily the Cattit design is 3L, which is much too heavy for a house cat to tip. Fountains do need to be around a power source but usually, come with quite a bit of length so it usually isn’t much of an issue. the only ways we could get Beau to eat the Cranberries. (Cranberries are a bit too tangy for cats at first, but after a couple days Beau didn’t mind.) As always I recommend a Natural Holistic wet food such as Weruva. And if you can’t get your little one to eat the crushed cranberries there will ALWAYS be a treat you can supplement with. Honestly it’s crazy how many healthy cat treats there are out there! We love the Get Naked brand and have actually even given Beau some of the dog dental sticks. The only downside to them is the fact that they are all made out of chicken, so if your little one has a poultry allergy, it’s not for you. Sadly, Beau isn’t the biggest fan of chicken. He will eat it for a few days and then will stop completely for months. Odd, eh? Either way, these treats are also pretty awesome cause they have some extra taurine for your little one’s eyesight! 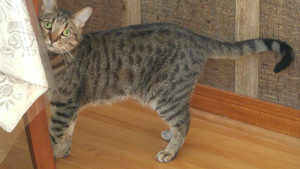 However if your kitty starts to strain you should immediately take them to the vet as he/she is at risk of the stone lodging causing a rupture that may cause their bladder to explode or cause kidney failure. At this point the only things that will help are antibiotics, dietary change, fluid therapy or in the worst case scenario: surgery. I hope you found this article helpful! Has your little one ever had a UTI before? What have you done to make it better? Great post! I swear by D-Mannose powder. My Angel Tara had diabetes which resulted in many UTIs, but once I put her on a daily dose of D-Mannose powder she only had one very mild infection! I lost my wonderful cat, Opie from FUS many years ago. It is great that so much is known about it now. P.S. It’s nice to meet you! Nice to meet you too M.L. I’m really sorry to hear that you lost a little one to FUS. I’m also very glad that there is a lot more information out there to help prevent and clear it!! We saw your interview in Mousebreath! Loved it! And beau seems like a real cutie–gotta support a fellow Canadian! Thanks so much for stopping by! He is a real cutie! I see from twitter you’re from Toronto too? That’s rad! Thank you so much for stopping by. Excellent post, I would always want an antibiotic though instead of homeopathic remedies. Thanks for this. Recognizing a UTI and getting it treated quickly is so important. Yes, Yes, Yes! Why wait for your little one to get worse! Catch it quick, treat it fast! Eww….. I’m more than passingly familiar with this. 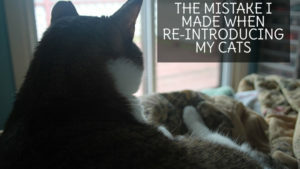 Toby had some problems about two years ago and since then both cats are on Feline CD food. This was AFTER the constipation issues. I keep written record of both cats’ output now, so I can pinpoint exactly when the problem arose. I would be hesitant about recommending an at home test for med conditions though. Sometimes these things can be complex, and it really is best to consult a vet. Toby had two in house urine tests, but the third was sent out for analysis.